I previously wrote quite a bit about how a mockup fitting fits in (no pun intended) to the process of custom corsetry. Let's take a closer look at the mockup itself. Typically, a mockup will use a lighter, more streamlined construction. Some components may be temporary, such as eyelet strips tacked on and reused from one mockup to the next (rather than grommets set directly into the body fabric). The lighter construction of a mockup may reveal or exaggerate subtle fit issues, so it's actually advantageous to test this way. Sometimes, the mockup may also include a bit of "extra" fabric in the form of more fullness or length. This gives your corsetiere the opportunity to analyze where the fullness should come out from to create the best effect for your body. If there's extra fabric around the chest circumference, does it come out from along the bust curve? The side bust? The back? By having extra fabric, your maker can play with taking it from each place in turn. 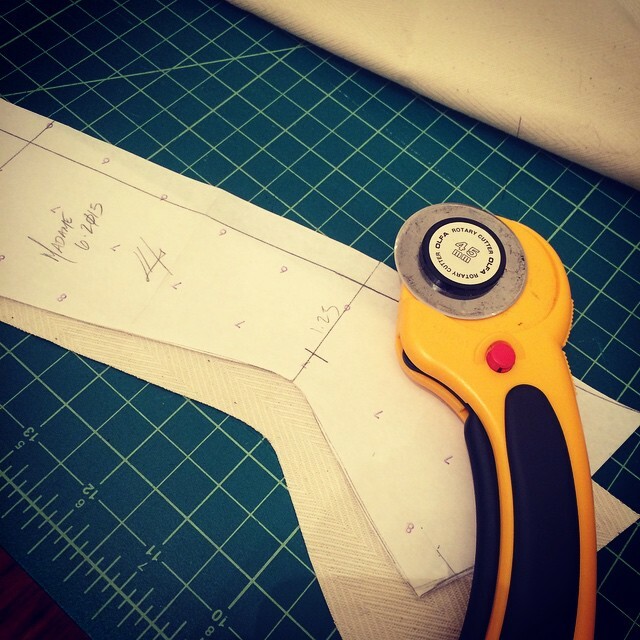 It's harder to visualize and measure adding fabric than to pin or cut away extra. The same thing applies to extra length: an improved style line for the top or bottom edge can be drawn (or trimmed) away if the mockup is intentionally created as a larger canvas. Your corsetiere may mark the mockup in a number of ways. Some may simply draw directly on the fabric of it with a pen or sharpie. Straight or safety pins may be used to pinch out extra fabric as-needed. Or, your maker may simply make notes on a separate sheet of paper! All that depends on the maker's preference, materials used, and of course whether you're doing your fitting in person or remotely. Either way, a visual reference is a must for mockups. Of course, in-person fittings are the ideal, but they may not always be feasible. Luckily these days we have video conferencing via services like Skype and FaceTime, which can be a boon as it allows your maker to walk you through the fitting in real time. Before video technology became ubiquitous in phones and laptops, corsetmakers would do remote fitting through photos, which is still an option for the camera-shy. 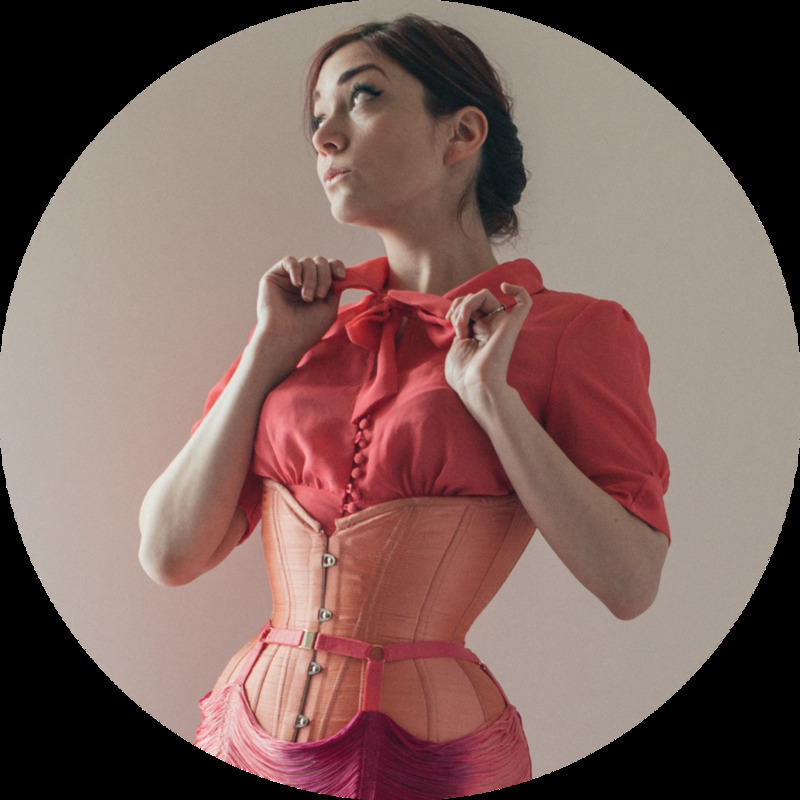 If you've had a bespoke corset made, what do you wish you'd known about the mockup process?